Looking for a dog attack lawyer? A dog attack lawyer can be hard to find. Krupp Law Offices can answer your dog attack questions. We have over 85 years of legal experience. 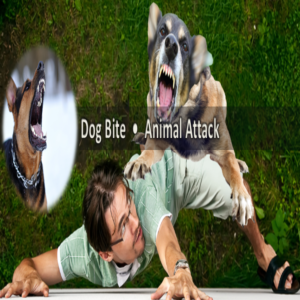 If you or a love one has been attacked by a dog it is important to contact a dog attack attorney as soon as possible. If you are attacked by a dog or other animal, you should immediately contact animal control and the police to document the attack and obtain the name and contact information of the owner of the dog. After reporting the dog attack, you should seek medical treatment at an urgent care facility. They can assess the level of care needed. Make sure to tell them what happened and your level of pain. Make sure to document your dog attack. Take extensive pictures for different angles. Continue to takes pictures as your injury heals. Keep all of your medical information including dates of treatment, medical records, and bills. WHAT IS DOG ATTACK LIABILITY? WHAT DAMAGES CAN I RECEIVE IF I AM THE VICTIM OF A DOG ATTACK? Dog attack claims cover a number of different kinds of damages. Dog attack claims will cover medical bills, pain and suffering, lost wages, reconstructive surgery, and other damages you may have suffered. HOW DO I GET STATRTED WITH MY DOG ATTACK CASE?